A reliable time information, a redundant equipment. A quick and easy maintenance, thanks to the Hot-Plug modular system. A 24/7 availability for the systems. The transportation of UTC and local time on network. Display identical time on the clocks and all the equipment connected to computer network. 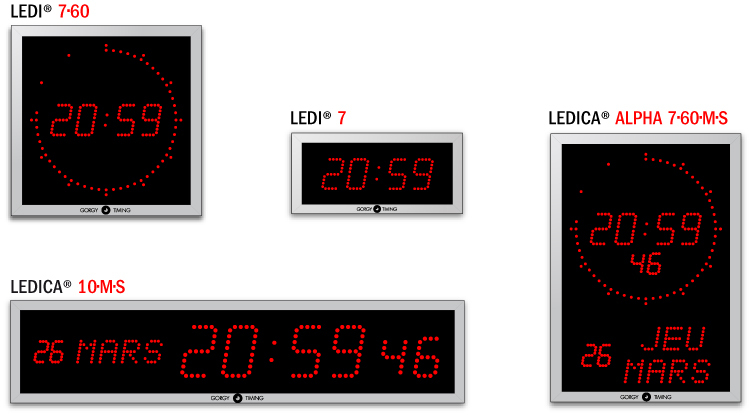 Display official time and GMT in the control towers and terminals. Reply to sensitive applications with secured hardware. Disseminate and display information in real time for the staff and the passengers (video , information, security…).